Give your users the opportunity to order a table from you immediately. 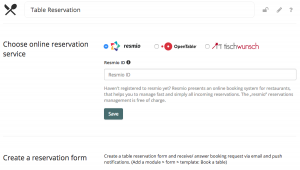 You need an OpenTable ID or the resmio ID, which you enter in the window shown above. That’s it!